Thank you for the inline image pasting! @Erica any update on this? If this is intentional please at least provide an option in the settings to switch it off. It is very uncomfortable to rely on the image host I copied the image from to not disappear. Sorry I didn’t see your original post. We wanted to add this but haven’t had the time for it. It’s not as easy as turning on/off something though. Chrome used to send the pasted image to us in raw data format, now we only get the URL and have to fetch and upload. Sorry about the delay. Any updates on this? This is a major time killer, I can’t work efficiently with this problem existing. You don’t sacrifice anything from linking the image URL rather than uploading it. URL image links function the same way as uploaded images; in that they display the image in its full size when you select away from its node/bullet. I understand it can be annoying to paste image files into a document and having its third party URL show up in its place. What if the site host goes down? What if they change the image but keep the URL? Save the image into your desktop via the “save as…” function after you right-click the image. Open the folder in which that image was saved. The window that shows up should give you a link to the Dynalist-hosted URL of said image, as opposed to the image’s original host website’s URL. The reason pasting images only pastes their website’s URL by default is because we are still a small company, and - for now - Dynalist users are limited to an upload quota of 1 GB of data per year. Each file uploaded automatically pulls space from that allotted 1 GB, and so it is much more feasible to link from external hosts for images by default rather than offloading all data onto Dynalist’s servers. Thank you Thao, for the detailed instructions. I am already following this procedure, but unfortunately this process is terribly slow. It takes me at least 7 clicks/keyboard shortcuts for each image I want to insert this way. This is a massive downgrade from the previous 3 clicks/shortcuts. I understand that data storage is an issue. On the other hand I pay for the service and only use a few megabytes every month (my images are rather small, but many of them). If people use too much storage, l would suggest limiting the allowed storage (e.g. less than 1 GB) and at least giving them the option to have pasted images uploaded to the service (e.g. settings). EDIT: There is another issue with the current method. 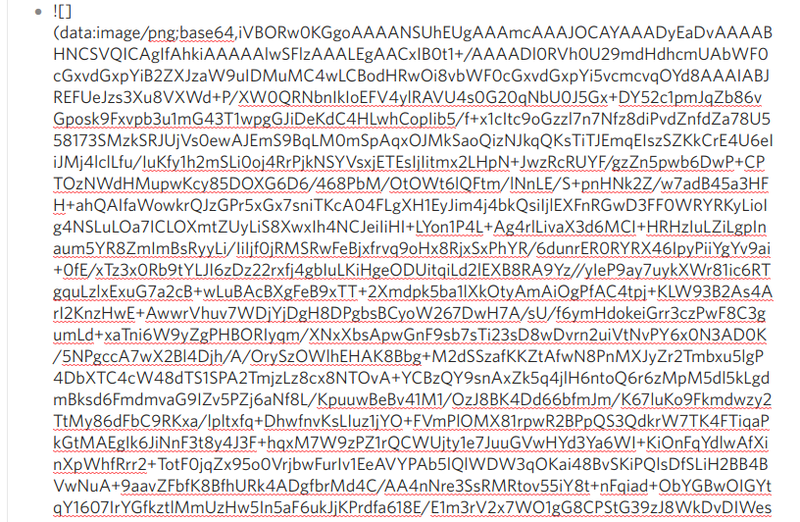 Often I want to paste images that are not linking to a URL, but are base64 encoded (copied from another website in chrome). In this case essentially the entire image is stored as plain text in dynalist and slows down everything. @Thao @Erica any update on the base64 problem? It’s definitely gotten some attention in the last while. Let’s see what we can do to fix this. I believe this issue originally came from the fact that when you “Copy Image” in Chrome, it copies not only the image, but also the link (as text/html) into the clipboard. Since Dynalist prioritize pasted HTML over images (originally because PowerPoint always included an image of what you copied, even if it’s just text/html), it discards the image. We’ll discuss what’s the best way to allow for both. Perhaps if both are available, we can show a prompt, or perhaps save it in a preference option. @Shida any update? This is still one of the less elegant things in Dynalist. Yes! I promise I will look into it asap. Quick update - We finally have a fix for this! It’ll be out in the next few days. Currently the fix only forces the file upload, but we have a task tracked for making it configurable in the future. Fix should be out now! Yes I saw that! Amazing! Thank you so much.